Hello and welcome back! In this fourth and final post of my Venice in Spring series I thought I’d share with you some of the things we did during our stay. Just for the record and to avoid any doubts, all views and opinions are my own. 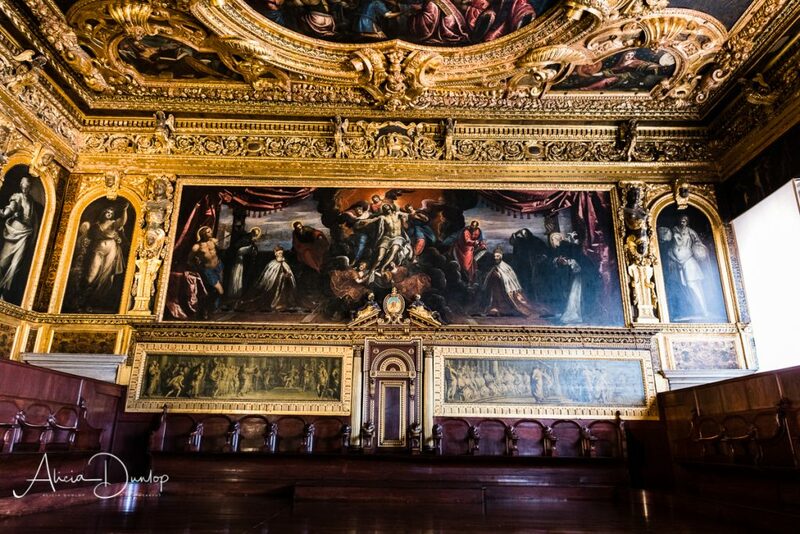 So without further ado… some suggested things to do in Venice during your visit. Just click the links if you’d like to catch up on part 1, part 2 or part 3. I have a list of people from history who I wish I could meet and get to know better. Leonardo da Vinci is right at the top. Such a talented man with a brilliant mind. A genius – pure and simple. So imagine my delight when I discovered the Da Vinci Museum right here in Venice. 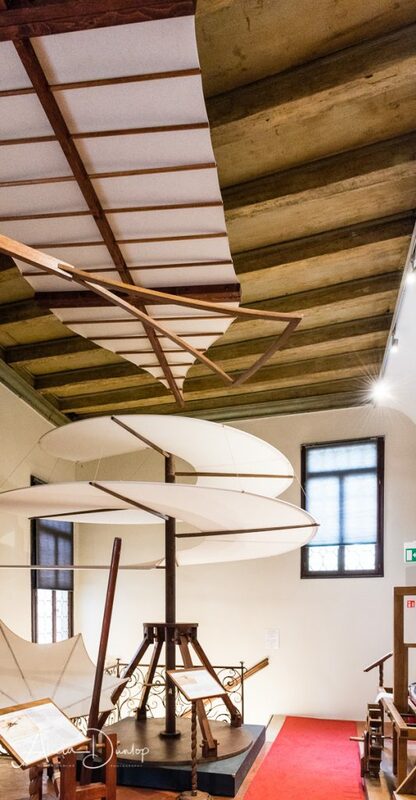 Tucked away in a corner of the San Polo district of Venice, is the small but wonderful Museo Leonardo da Vinci. 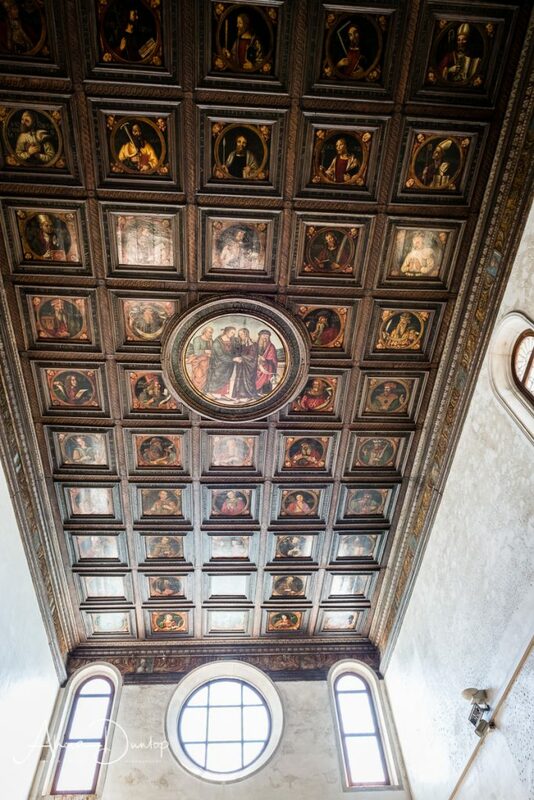 The museum is located next door to the Scuola Grande di San Rocco. Full of replica machines created from the drawings of da Vinci. Each machine is accompanied with notes explaining the machine and the principles being used. 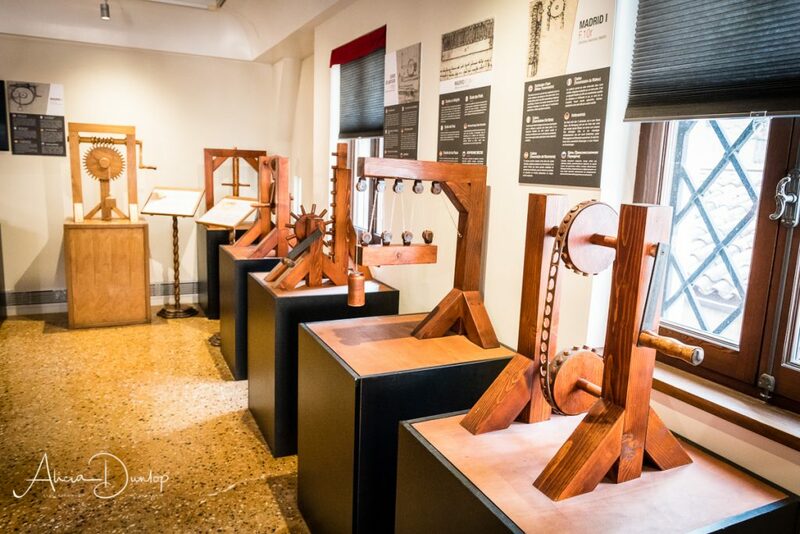 All of the machines on display demonstrate Leonardo’s brilliance and just how far ahead of his times his thinking was. To put this into context, Leonardo is widely credited with drawing designs of the first helicopter. His drawings date back to c1487. However, the first helicopter took finally took flight in the 1940’s, over 450 years after Leonardo first pondered and penned his design. This little museum gives you the chance to get up close to the machines designed by this genius of a man. For an entry fee of 8€, it is well worth a visit. 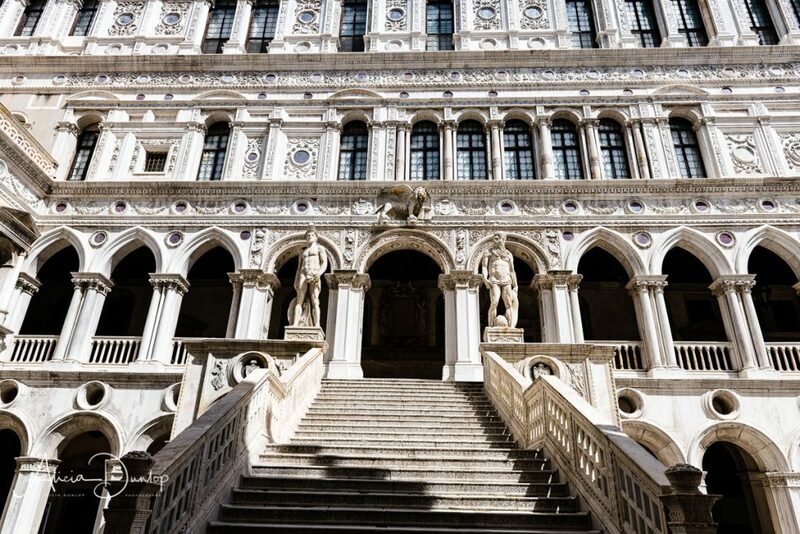 I was a bit underwhelmed when I first saw the Palazzo Ducal (Doge’s Palace). I’m not quite sure what I was expecting. I love Italy and have been fortunate to visit a number of its well known cities. 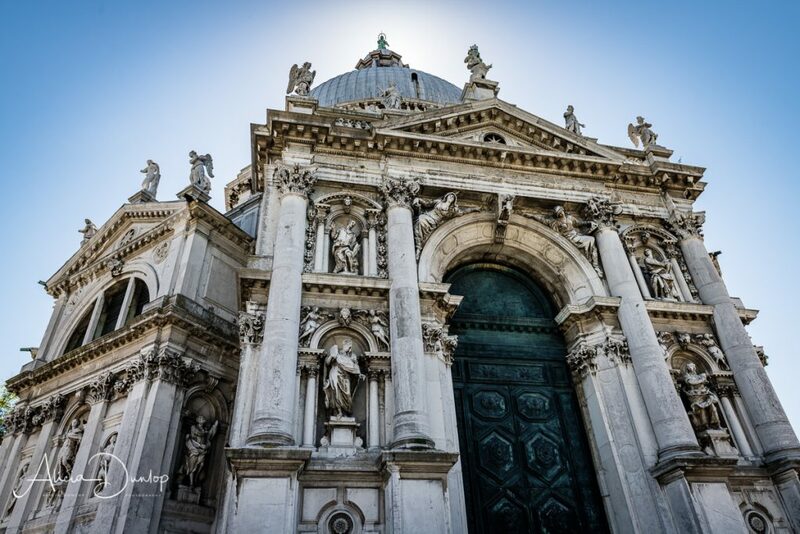 Knowing a little of the history of Venice – the power and wealth that it generated. I was expecting to see that on full display from the exterior of the building through awe inspiring sculptures. Showing off the power for all to see. So, what had I forgotten? A simple fact. The building we see today from Mark’s Square was built in the 1420’s. Even more impressive, the wing that can be seen facing the lagoon was started even earlier in the 1340’s. Simple Gothic architecture at its best. 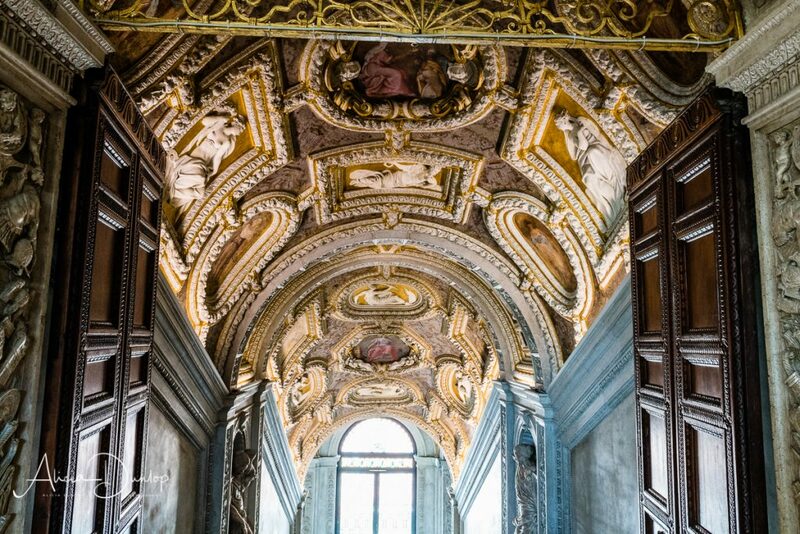 For all its relative modesty on the outside, on the inside it is full of incredible works of art – paintings, sculptures and beautiful renaissance architecture on view for anyone who visits to see. All clearly designed to impress, and demonstrate the scale of wealth not to mention power. There is no doubt that this would have influenced many interior designs of great houses and palaces across Europe for centuries. The craftsmanship is simply beautiful. The guilding simply very ‘blingy’ but that all adds to what makes this place so special. 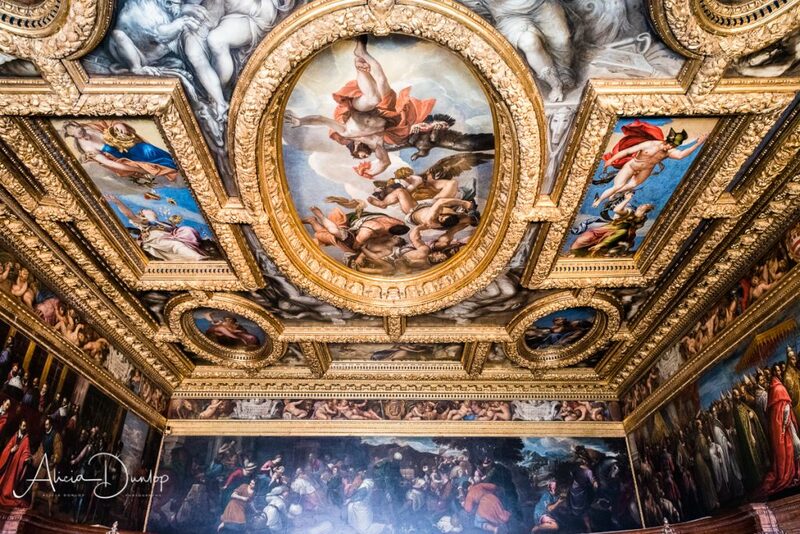 If I said ‘Wow!’ once, I said it a hundred times as I made my way through each of the rooms. Definitely worth the 20€ entrance fee. 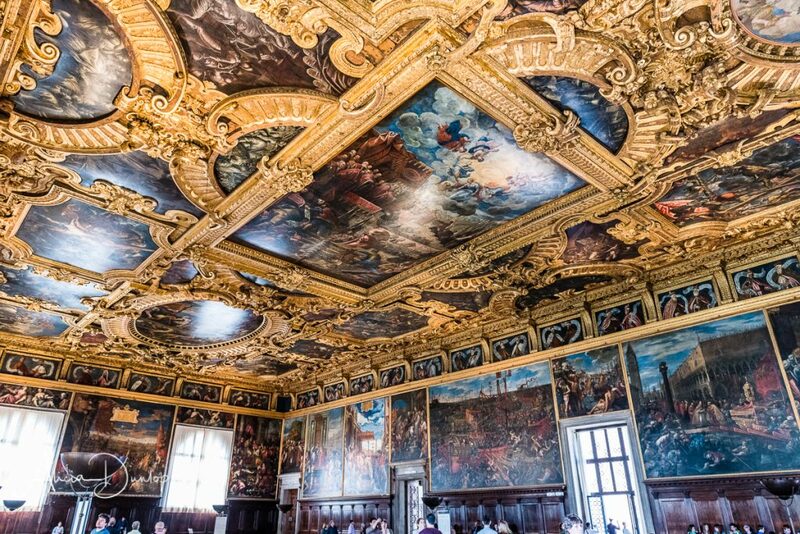 You can find out more about this stunning place by visiting the Palazzo Ducale website. 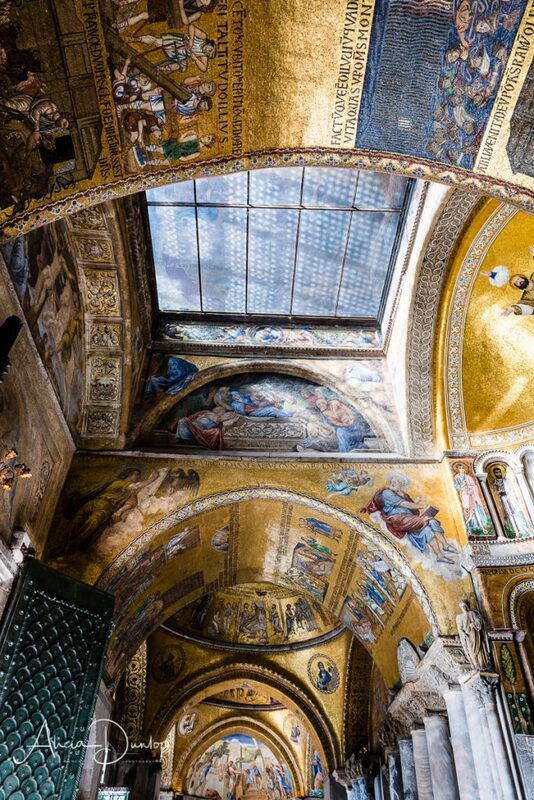 Did you know Venice has 137 churches? They house some very precious and beautiful works of art. I suppose you could call them museums as they look after some amazing masterpieces. 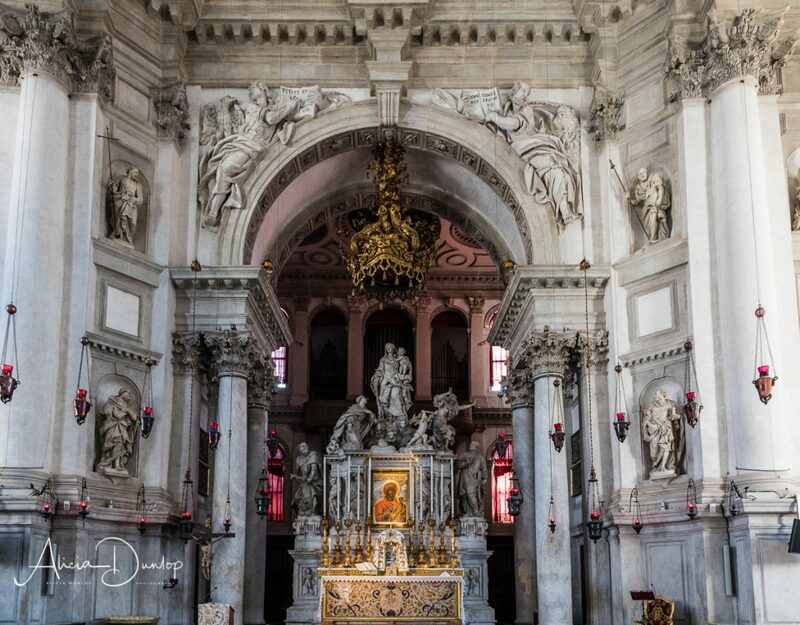 Every church in Venice, from the splendour of St Mark’s Basilica to the simplicity of Santa Maria della Visitazione Vulgo Artigianelli, contain wonderful things to see. The basilica is free to enter. 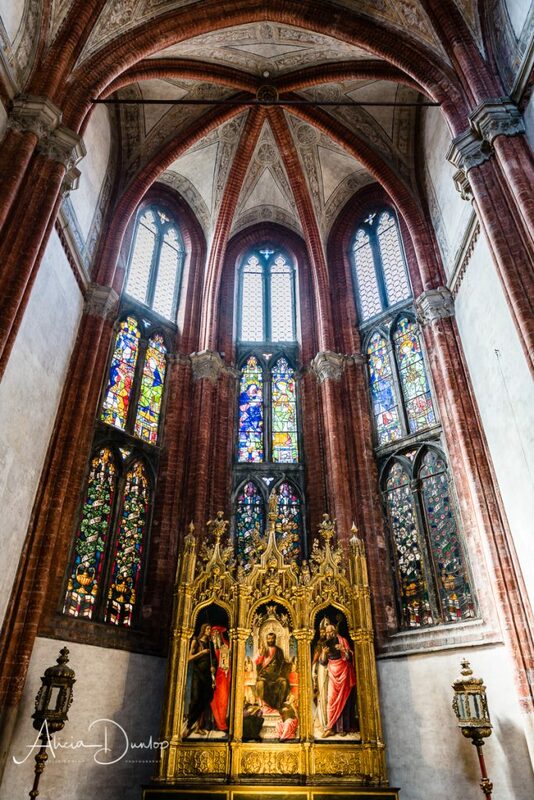 However, if you want to see the relics and other areas of the church an additional fee is required. We paid 3€ each to skip the line. I’m so glad we did as the thought of standing in the heat of the day really did not appeal. Some churches are only open to those who wish to attend mass and worship. Photography is forbidden in some churches. For some a fee to enter is charged. Details are displayed externally before you enter. Respect these requests and guidelines as it will ensure everyone – locals and visitors enjoy these beautiful places. During our visit we joined the other tourists and spent a day visiting some of the islands. 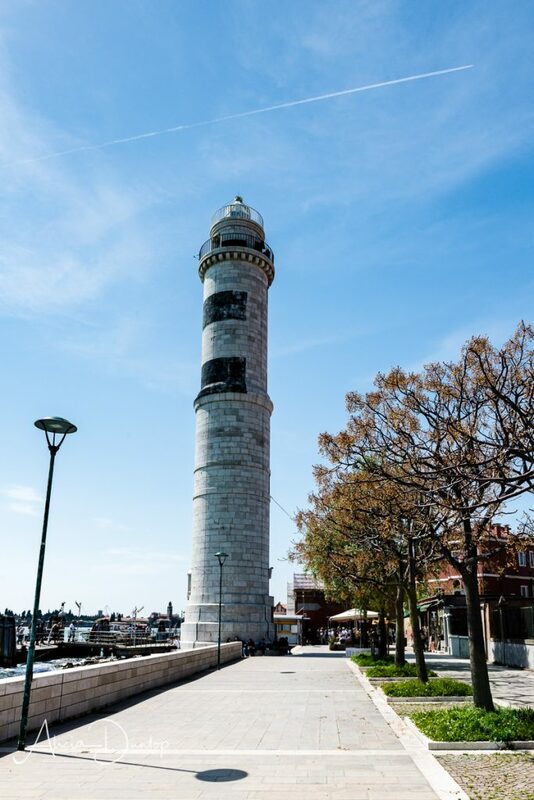 Our itinerary consisted of a visit to Murano, Torcello and Burano. There are a number of tour operators who offer this as a half day tour. We dedicated the whole day and I’m so glad we did. 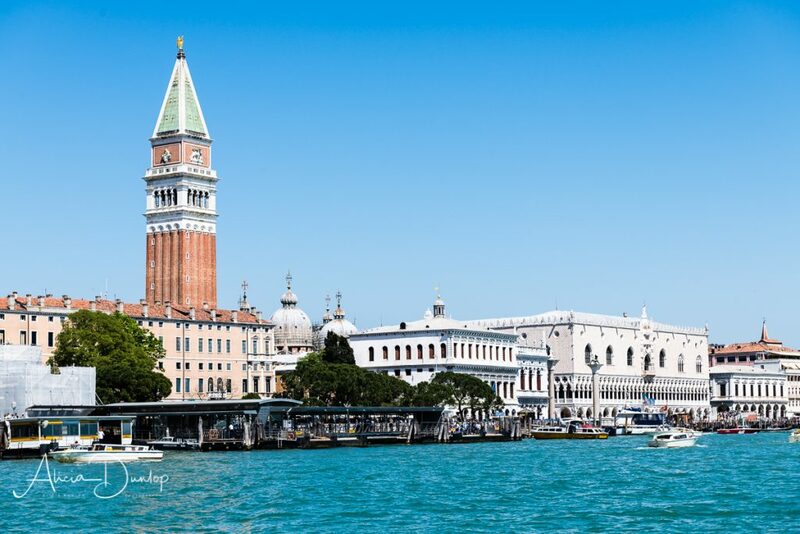 We purchased a 24 hour vaporetto pass for 20€ each and thoroughly enjoyed our meanderings. This gave us the opportunity to eat & explore at leisure. For more information about the passes available check out the Venezia Unica website. Remember to it might be easier to purchase the passes from your hotel. Murano was our first stop. It looked and felt a lot like Venice. 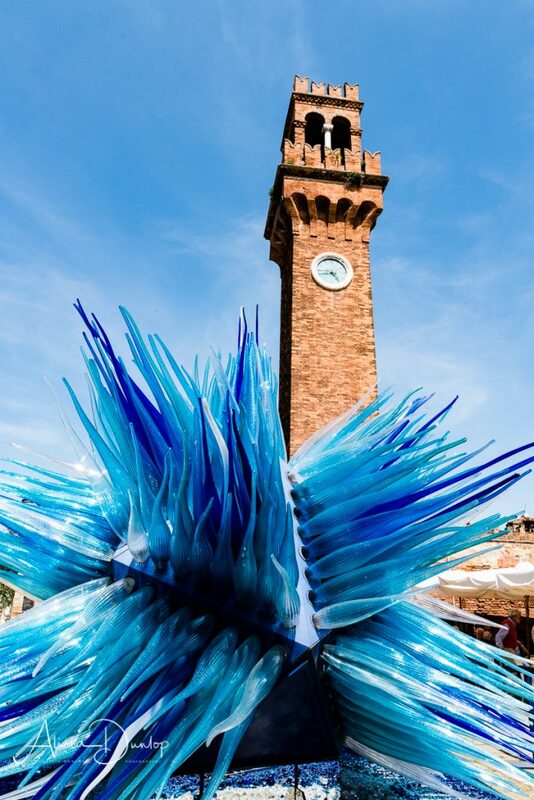 The main difference was that most shops sold Murano glass. Unsurprisingly it was also incredibly busy. We are not big fans of crowds and found ourselves looking to leave the island as quickly as we could. Don’t get me wrong, Murano is lovely, but at the time we visited simply too crowded. It did feel like a ‘tourist trap’ too with so many shops selling glass. The vaporetto from Murano to Torcello was very full. We stood from Murano to Torcello via Burano. It’s not a long journey & the views as you travel around the lagoon are lovely – so certainly not a hardship for us. 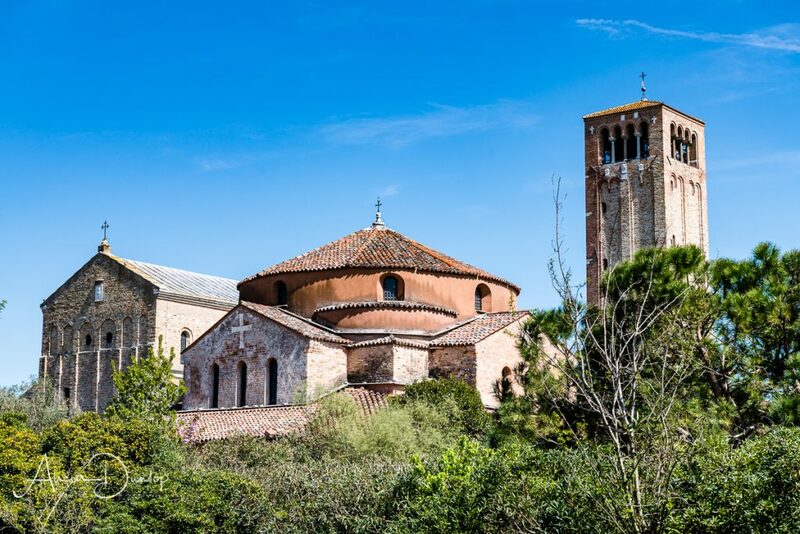 Torcello, by contrast, was lovely and quiet. 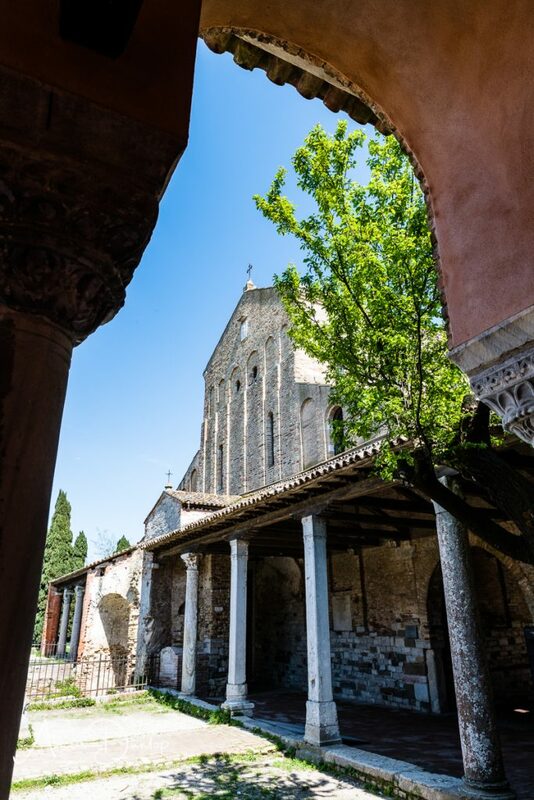 The focus of our trip was to visit the Byzantine cathedral, the church of Santa Fosca. This is the oldest building in the lagoon founded in 639AD. The current building dates back to the start of the 11th century. I can imagine that maintaining this old church costs a small fortune so I was happy to pay the 5€ entrance fee. Inside there are some beautiful mosaics. The Domesday Mosaic covers an entire wall and depicts the Last Judgement. Beyond the beautifully carved rood is the Apse Mosaic. The mosaic depicts the image of the Madonna and child. Impressively it is set against a gold backdrop. The pulpit dates from the 7th century when the church was founded. Because photography is not allowed within the church I’m unable show you these little wonders in this post. Take my word for it when I say this is a rustic, serene and beautiful place to visit – full of old world charm. 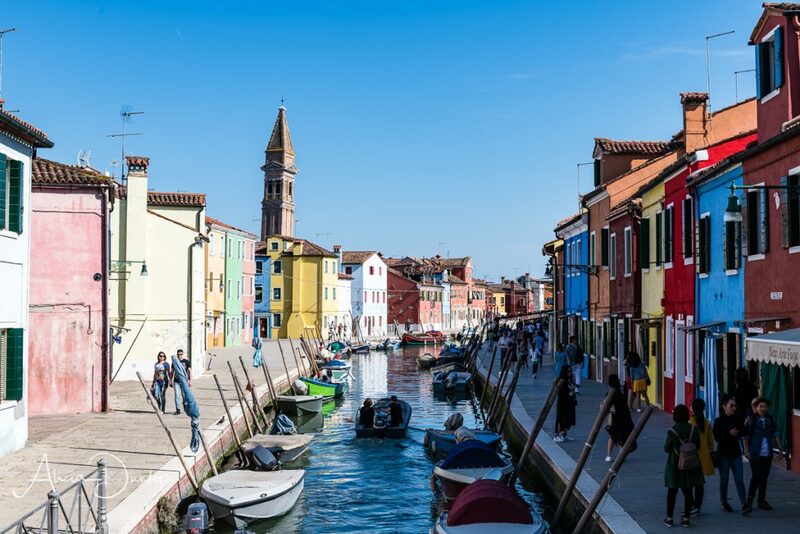 After a late, leisurely lunch we hoped back on the vaporetto for our visit to Burano. 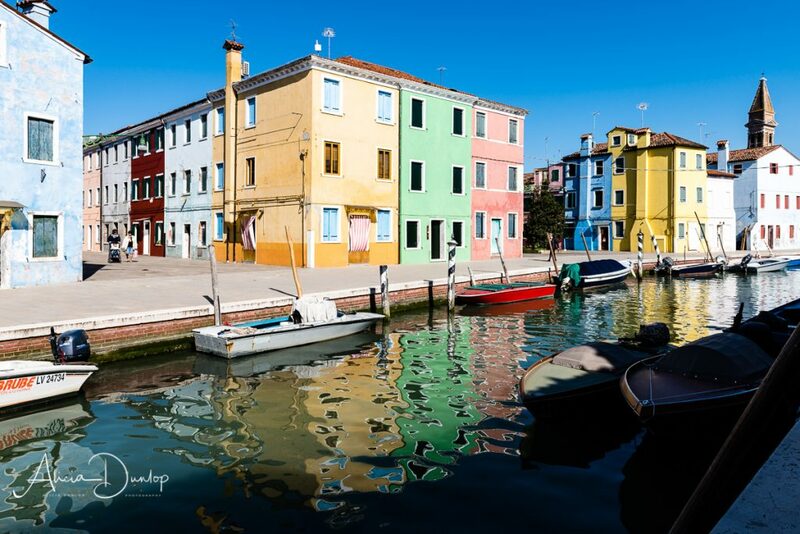 Tourists are attracted to this little island by the brightly painted houses which line every waterway. When wandering around the tall church bell tower is a dominant sight. It doesn’t take long to see it is tilting quiet dramatically. It looks pretty solid at the moment. Although I can’t help but wonder at what point gravity will take over. 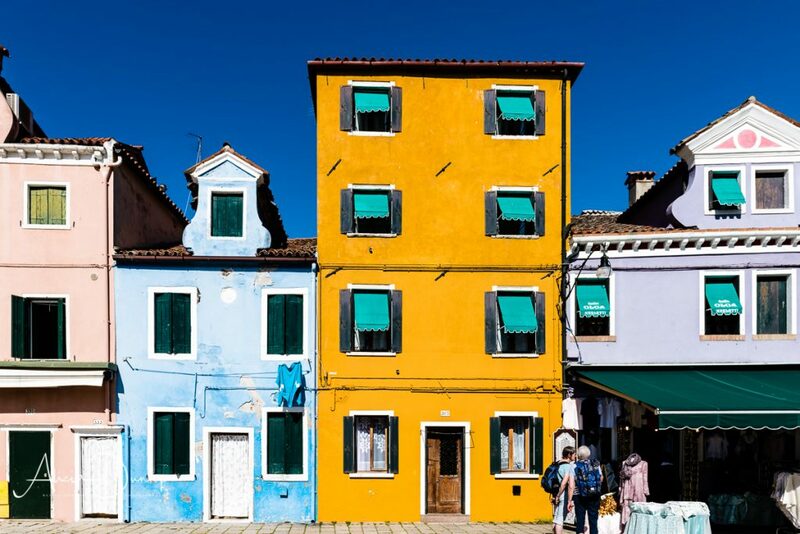 Now to be fair I could have wandered the streets of Burano for hours – I simply love the colourful nature of the place, but with tickets to see a rendition of Vivaldi’s 4 Seasons that evening time was no longer on our side. So, reluctantly we headed back to our hotel to change. Now classical music isn’t for everyone. As a cheesy pop fan I wouldn’t put it at the top of my list of concerts to attend. But I do love live music and I think Vivaldi was a ‘cheesy pop’ star of his day plus I love his Four Seasons. 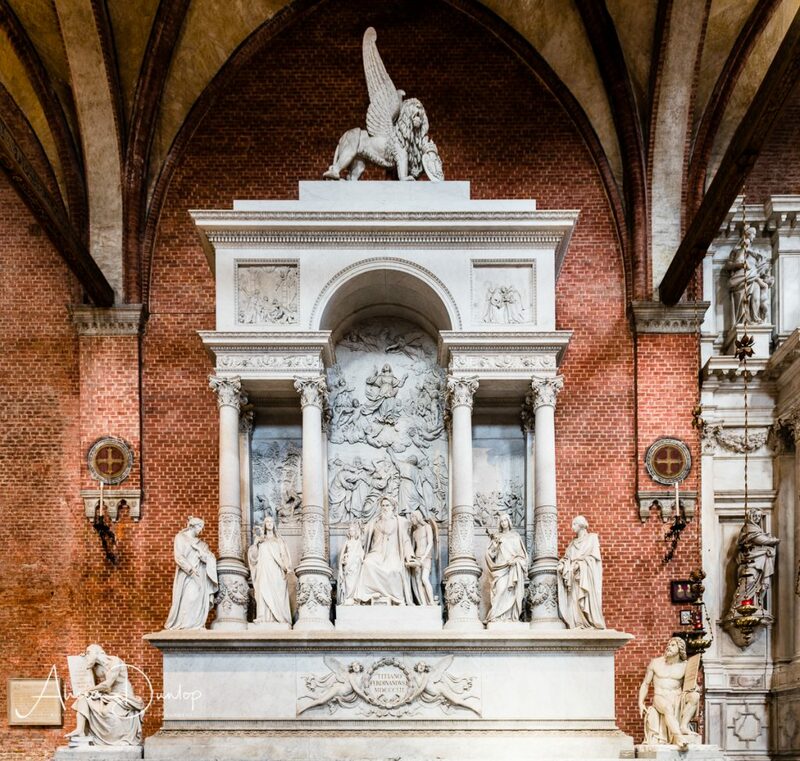 Where better to see them performed than in Venice – the great composers birth place? As a result, we attended a performance by I Musici Veneziani. The ensemble performed dressed in traditional Ventian 18th century costumes which added to the atmosphere. It was a lovely evening and they played beautifully. 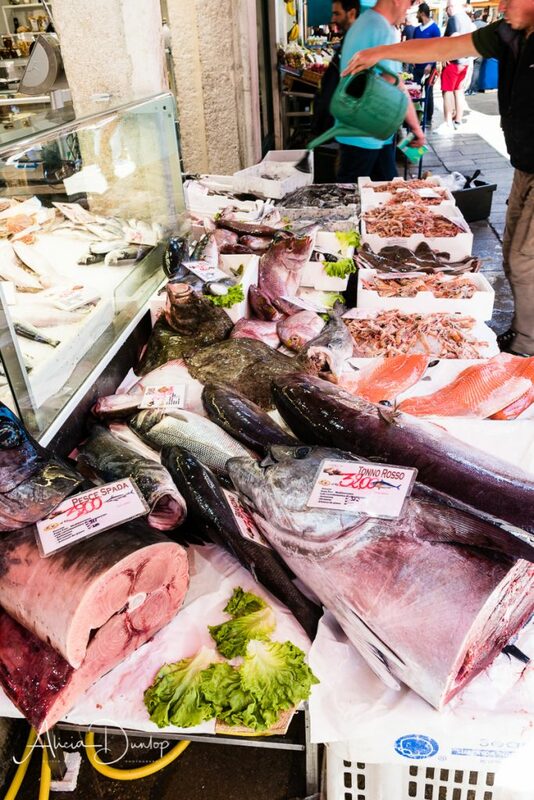 In the heart of Venice there are 2 markets that sit side by side. 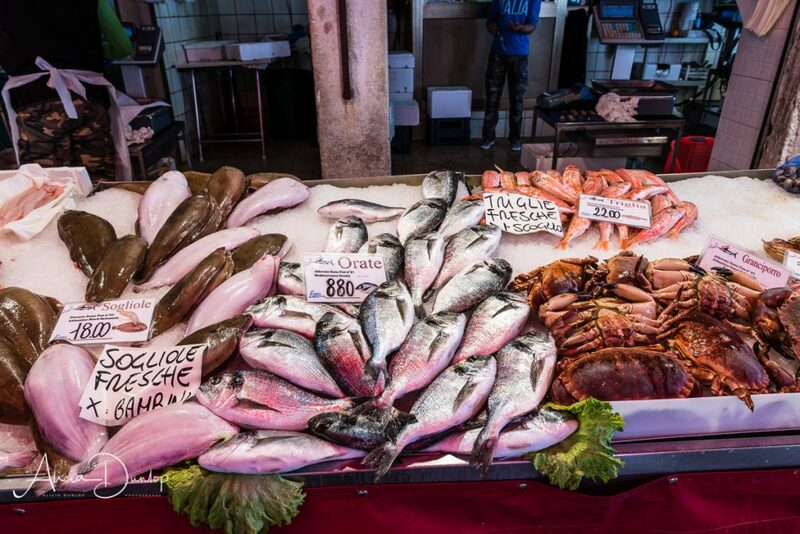 The Fish Market (Pescheria) and the Fruit & Vegetable Market (Erberia) – known as the Rialto Markets. The locals flock here in the mornings to purchase the fresh goods. However, if you want to see the markets in full swing visit as early in the morning as you can. This is because by midday the fish vendors are starting to pack up for the day. From the photographs below you’ll get a feel of what is on offer. 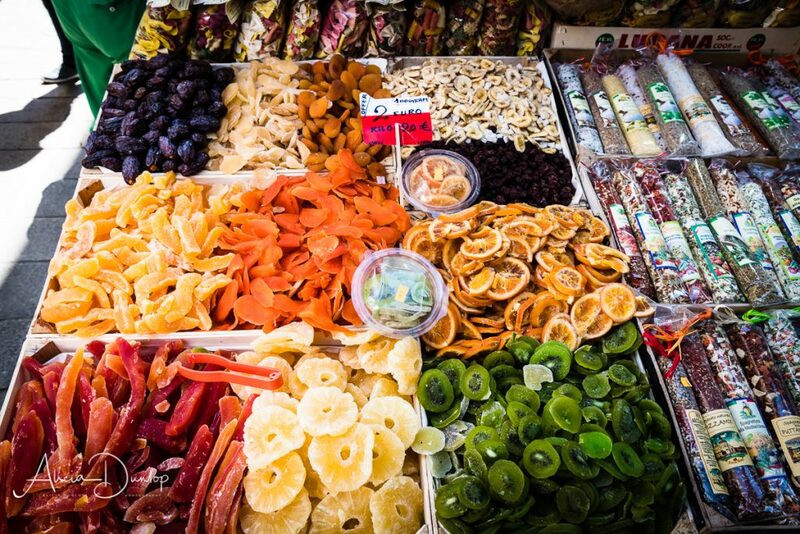 The locals actively support these vibrant markets. Now I’m not big on organised tours. I find that you can visit places under your own steam for a lot cheaper than through an organised tour. However, they are great if they enable you to do things you wouldn’t normally do on your own. This was what this tour gave us. This particular tour jumped up and said pick me – figuratively speaking of course! Simply because it provided an opportunity to experience Venetian wine and appetisers in some of the back street bars in Venice. Something we would never do on our own. We joined a group of 10 others as we enjoyed 5 glasses of wine from the region and sampled Cicchetti – finger food in 5 different bars. Urban Adventures ran the tour we joined and I simply can’t fault the evening. We really did have a great time. It was a great way of meeting new people. It was well worth the money and I high recommend it especially if you enjoy wine, like tasting new foods and enjoy meeting new people. So that’s the end of this blog series. More will follow shortly as I continue my travels. Thanks for reading and do feel free to get in touch if you have any queries or comments. Alicia Dunlop Photography – Freelance travel and landscape photographer.